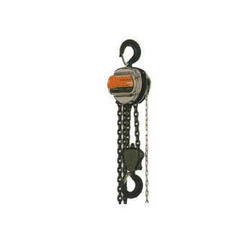 A wide range of Chain Pulley Block is offering by us according to the demand of the clients as well as their requirements to satisfy them completely. Owing to our in-depth knowledge in this domain, we are specialized in providing Chain Pulley Block. With precise proficiency and understanding of the present market understanding and requisites, we are readily occupied in offering to our customers a wide consignment of Spur Geared Chain Pulley Block. With immense market knowledge, we have been able to provide optimum quality Crane Pulley Block. 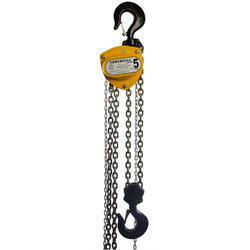 Chain Pulley Blocks - Material Lifting Equipments. For Weight (MT): 0.5 , 1 , 2 , 2.5 , 3 , 5 , 8 and 10.